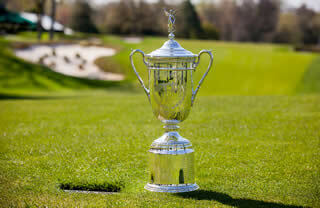 It’s easy to pick the favorites to win the 2018 US Open, but the guys that make money with fantasy golf or betting on golf will look for the top sleeper picks for the US Open to really cash in! With fantasy golf, sleeper picks and longshots are generally golfers that are found in the lower half of the salary cap list at some of the Top Fantasy Golf Sites. Players under the average price are what you want, although you could still look at guys over the average player price depending on your salary cap strategy. If you are betting on the US Open, then you have both Sleeper picks and Longshots for the US Open. Sleepers are the guys that are in the 50-1 to 80-1 range that are good players, but the odds makers don’t really think they will win. Longshots are the guys that are at the bottom of the list - usually 100-1 longshots (and up). These are guys nobody thinks will win, but you still have the golf bettor that will take a chance on a couple of 100-1 longshots to see if they pay off. If you need some help in making sleeper picks for the US Open then the guys at RotoQL.com can help you develop a system for finding the best sleepers and how you can pick them yourself in future PGA Tournaments. It's easy to rely on others to give you fantasy golf sleeper picks but if you can learn from the best on how to find your own picks then you are way ahead of the game. How do you use US Open Sleeper Picks for Fantasy Golf? The answer to this question depends on your salary cap strategy. Some fantasy golf players will take 3 "top players" and then find 3 "low priced guys" or sleepers to create their 6-golfer lineup. Other DFS fantasy players will focus on creating a lineup of players in the "average salary cap range" at your favorite fantasy golf site. The average golfer's salary at our affiliate partner site DraftKings Fantasy Golf Millionaire Contest is $8,333, so guys will set a lineup with 6 good PGA Tour golfers that all can make the cut with each having a legit chance of winning the US Open. When you do your research, find players that you think will play well at the US Open, and then when the salary cap numbers are published, see how many guys are lower cost “sleeper picks”. In doing so, your research isn’t skewed beforehand by seeing what the salaries are. When I make my lineups (I usually create several entries for the big DraftKings Fantasy Golf Contest), I will use both strategies mentioned above so that I can try out different lineups. Some fantasy golf players will keep a core of 4 players in every lineup and then fill in the remaining spots. Regardless, first you need to have your sleeper picks chosen, then decide on which strategy you have the best shot of winning with. Picking Zach Johnson as a US Open Sleeper goes against everything you will hear this week. The course is built for long hitters and Johnson isn't as long off the tee as others are but Johnson is playing really good golf in 2018 and he has a solid short game and putting game which may be even more imporant this week. He has played well in recent US Open Championships (He even finished in 48th at Shinnecock in 2004) and is a majors winner...you could do worse than picking Zach Johnson as a sleeper pick. Finau's golf game continues to improve every year and at some point he will be talked about as a favorite to win majors. For now, he is an afterthought in a US Open but he can hit the ball a good distance and if he keeps it straight he will be a solid pick to make the cut and possibly contend. He is 50/50 in his career at the US Open but finished in 10th at the Masters and has played really well in tournaments against the best in the world. Check out our 2018 US Open Preview to learn more about the Shinnecock Hills golf course - info like this can help you make solid fantasy golf picks. Or, if you are ready to take your fantasy golf skills to a new level check out this week's Biggest Fantasy Golf Contest where you can turn a few bucks into millions!